Welcome to the July Knowledge Exchange (KE) newsletter of 2017. KE's explorative work on OA Policy dependencies taken-up by the Sustainability Coalition for Open Science Services (SCOSS)! With great pleasure we'd like to refer to the establishment of the Sustainability Coalition for Open Science Services (SCOSS). Its mission is to provide a coordinated, cost-sharing framework to secure the future of non-commercial OS services that underpin the development of wider global open science. 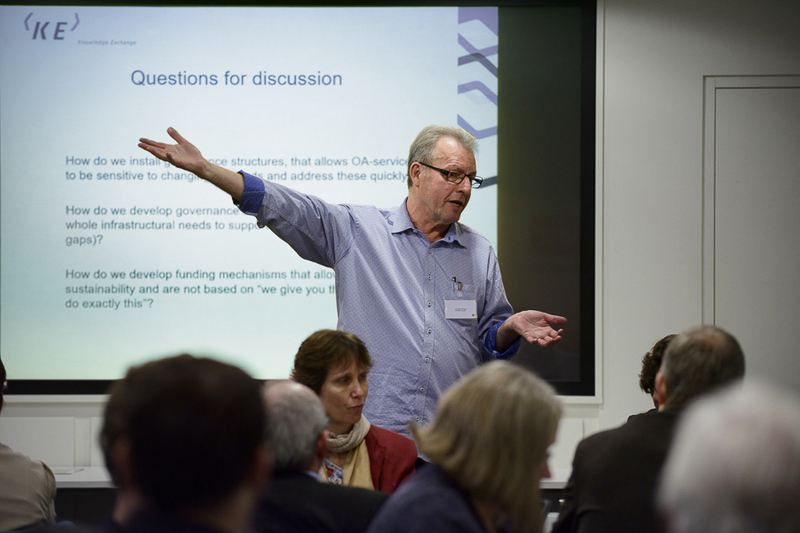 The coalition is a direct response to the work and recommendations on OA policy dependencies that KE has published in the reports 'Putting down roots: Securing the future of open access policies' and 'OA Policy Dependencies - Final Project Report'. Read more about SPARC taking the lead on this initiative on the SPARC Europe website. To better understand authors’ perspective on APC payments, KE carried out a study with authors from six research organisations in the UK, France, Germany, Finland, Denmark, and the Netherlands. In total, 1069 authors participated in online surveys focused on their 2015 articles published in OA journals or in hybrid journals. The results, including the number of OA articles published, the payment of APC's and administrative efforts by authors and information sources they use, are published in a report with recommendations for improvement on all these aspects. 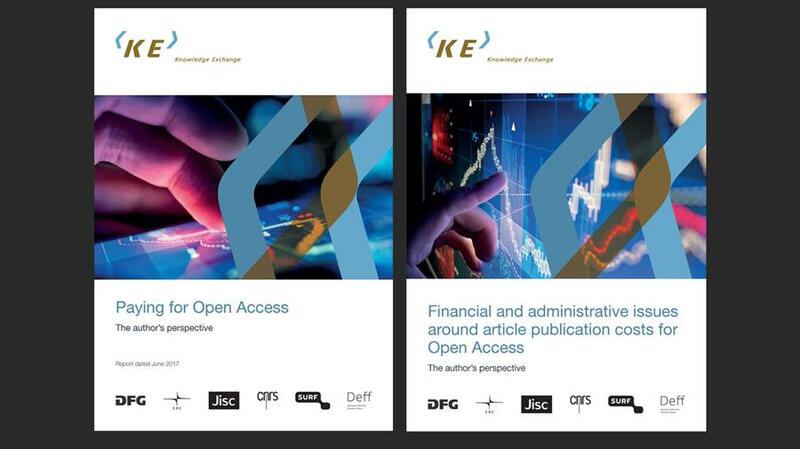 Find out more and download the abridged report 'Paying for Open Access the author's perspective' and the complete results of the study 'The financial and administrative issues around article publication costs for Open Access: the author's perspective'. 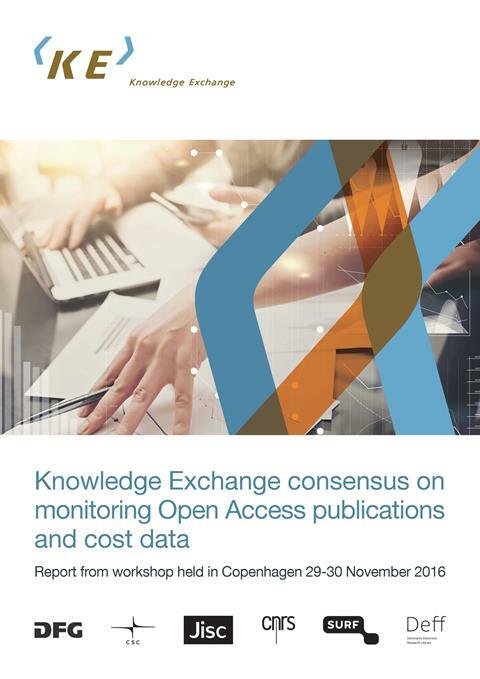 In November 2016, Knowledge Exchange hosted a second workshop on monitoring of Open Access in Copenhagen, where over 50 attendees from 11 countries exchanged approaches, experiences and views regarding the monitoring of OA publications and OA costs. The workshop led to 48 concrete recommendations for monitoring OA publications and cost data for OA publications, as well as specific recommendations for libraries. In July KE will publish the white paper 'KE approach to Open Scholarship', describing the current situation, and addressing the challenges and opportunities to really open-up research situation. At the end of September, a workshop around outcomes of the paper will be held, launching follow-up activities. Find out more about our work on Open Scholarship. Also in the pipeline, a thorough KE study into OA Monographs. The study will shine a light on the current state of a type of OA publications that so far has not been given much attention: books! Look out for our report and more information after summer. We are working to understand more around the nature of federated RD infrastructures, exploring why they are federated, if expectations were met, and what consequences federated-ness have for research (and researchers). A number of in depth interviews are being held and analysed. The outcomes of the study will become available in a report by September. At our annual Strategy Forum, KE's senior management confirmed the importance and value of the initiative to the member organisations and its impact on developments within and beyond the partners. All partners agree that although the political landscape is changing for the research community it is paramount that national research and infrastructure organisations in Europe keep working together. More than ever KE will continue its explorative and knowledge-sharing activities in the area of Open Access and Open Scholarship, and aims to increase its impact by giving more attention to outreach activities. After many years of successful exchanges and activities, the KE Research Data expert group has been discontinued. The experts in the RD expert group will continue working on RD related issues within KE's Open Scholarship focus area, as well as in many projects and organisations working on RD issues, such as EUDAT and RDA. One of the activities the RD expert group initiated is work on Federated RD Infrastructures (FRDI). This work will be continued by the Task & Finish group, to be completed in September (see above). Verena Weigert has returned from maternity leave as Knowledge Exchange partner representative on behalf of Jisc. 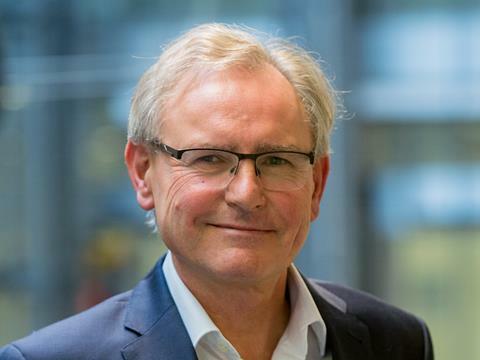 Chris Keene will replace Rachel Bruce as Jisc steering group member during an external assignment. Melanie Imming will replace Karin van Grieken who is on maternity leave, as KE representative on behalf of SURF.